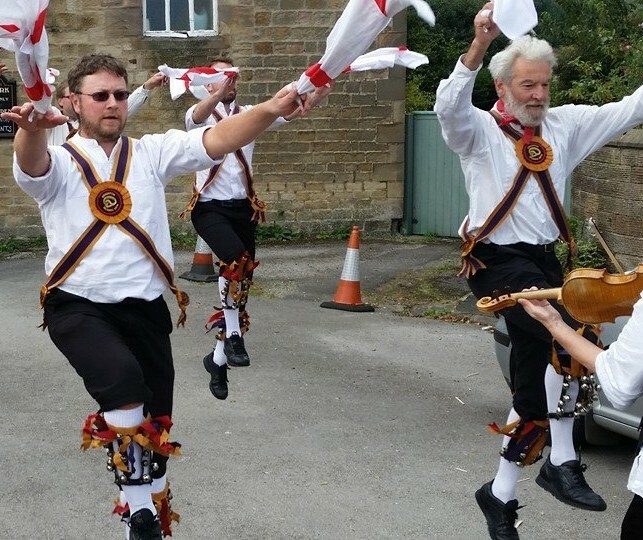 Our style of kit will be familiar to people who have seen Cotswold dancers before. We dance in black breeches and a white shirt, with baldrics across our chests, and bell pads and ribbons on our legs below our knees. The St George crosses on our hankies were a one-off to celebrate the Saint’s day on 23 April one year. We decided to keep them. We like waving the symbol of a Turkish Knight around. You won’t see us wearing face paint or ragged strips on our clothes. Those are features of Border Morris, which comes from the English / Welsh border country. 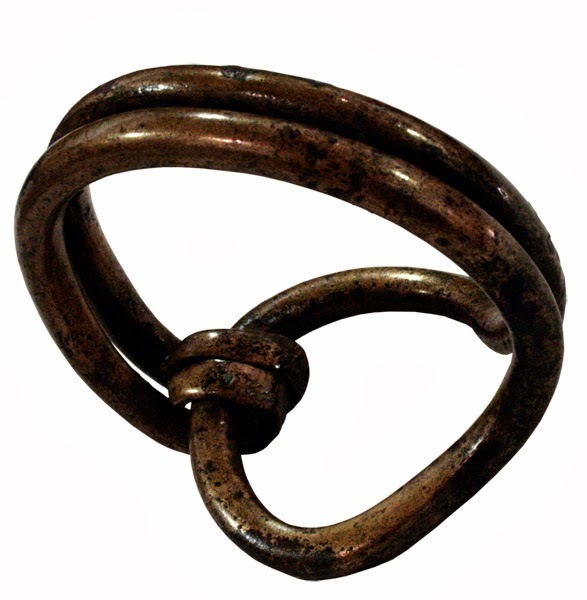 Our logo is a drawing of one of the Sussex Loops, Bronze Age bands (3,500 + years old) of unknown purpose, unique to Sussex. Two of these are currently housed in Brighton and Hove museum. Only a dozen or so of the loops have ever been found, and no-one is sure of their purpose. Somehow it felt appropriate for us to appropriate them.